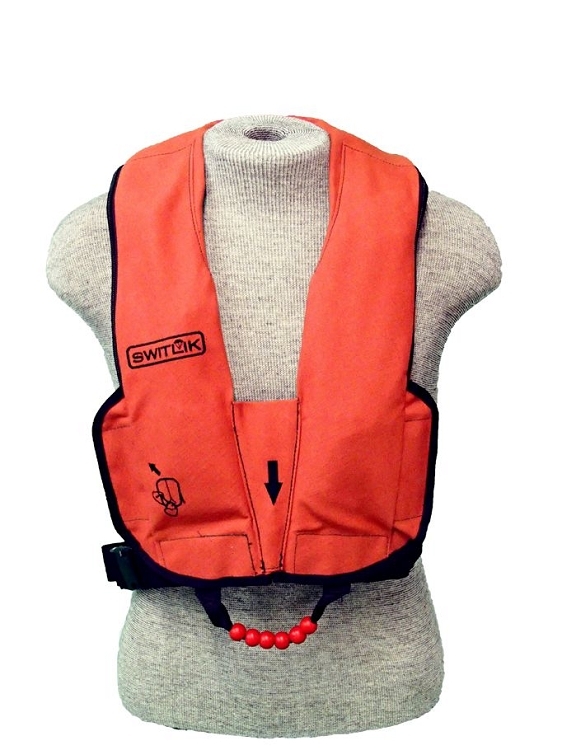 The new Switlik Aviator Life Vest is supremely more comfortable to wear, and specifically designed for the seated position in your aircraft. It's the vest you'll forget you're wearing. The new interior cell folding technique combined with our open V-Neck design allows the Aviator to lay over your shoulders relieving the pressure on your neck during those long flights. 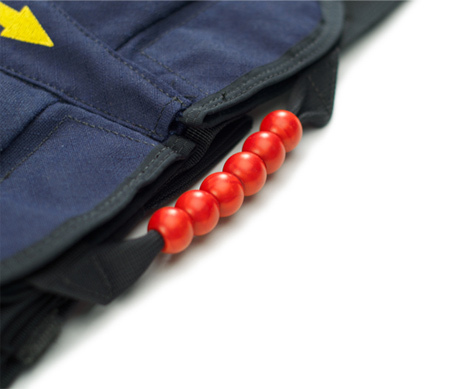 We have located our new beaded handle in the center of the vest allowing for an easier approach for deployment. 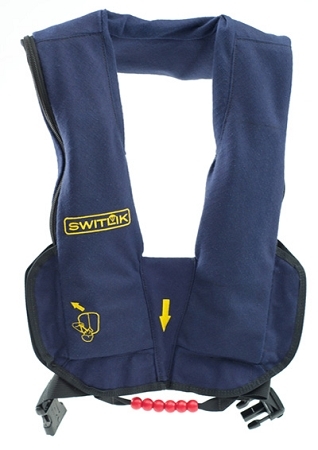 The breakaway safety feature eliminates the risk of snagging. The red handle also offers the best visibility in low light conditions. 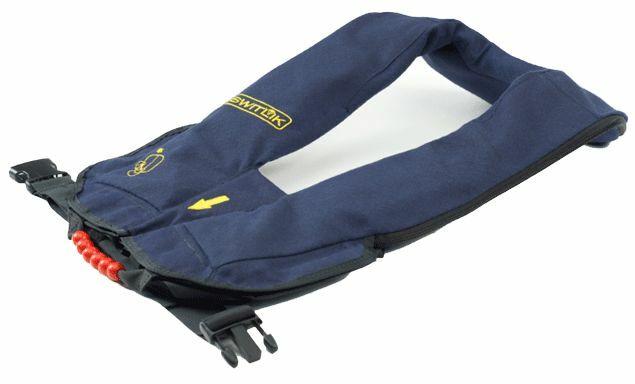 The Switlik Zipper closure keeps your inflatable vest secure at all times. 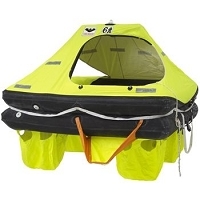 The simple reliable dual breakaway design provides immediate inflation when activated. 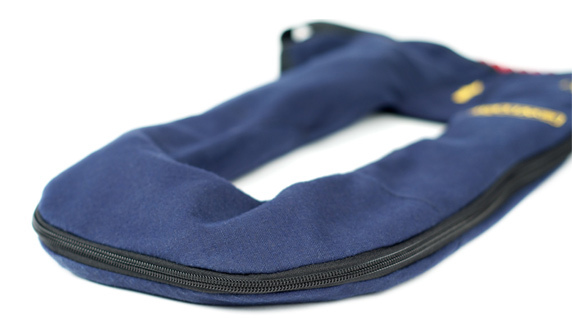 Backup oral inflation tubes are conveniently located on either side of the vest and easily reached through the side access flaps.